Marca is the number one newspaper in the Spanish sports press. With the launch of its Master in Communication and Sports Journalism , the newspaper aims to train sports journalists and communicators who want to match their hobby with the journalistic profession. To make this online mastership of an eminently practical nature and with a faculty made up of journalists in the press, radio, internet and television, it was necessary to have a simple and easy to use virtual campus for professionals not familiar with the virtual methodology. In addition, it was necessary to incorporate existing contents in another campus in which a previous edition of this master had been realized. Chamilo is the ideal tool to connect students and teachers without barriers , in a direct way and with activities that require continuous feedback. Thanks to Chamilo’s flexibility, the integration of content already made for other platforms and its combination with new content was a success. 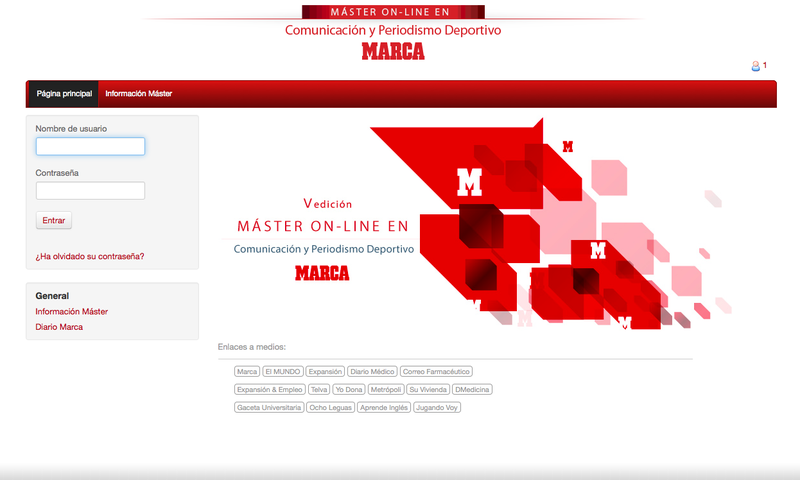 In order to ensure the success of the proposal, Marca has always had the experience of our team in designing new content graphically, equipping the master’s degree, enrolling students, managing tools, etc.